Reading some reviews I noticed that people ask why introduce the gamer when he was going to die anyway, while it is actually this event that makes the story worthwhile. So we have a normal guy that was invaded with some knowledge and a technique through the soul of a gamer that shattered upon reincarnating, and this causes that instead of him starting of as a complete cheat (if the soul had suceasfully reincarnated), instead it only helps him develop while he slowly figures his power out. Also, in the case... more>> of the knowledge hr obtained, sometimes he benefits from this, while other time he blabs out jokes that seem common sense to him and noone else gets them. Finally, personality wise? The guy may be a bit naive, but I prefer how he is now as to the little we saw of the gamer, who reeked of desesperation and a unfulfilled life (only mushoku tensei has done right starting with that type of mc). Sigh... honestly there’s a lot of holes in the story. A high avid gamer dives in through dimensions then just “Proof” dies and remaining parts of his soul go inside Yunfei. And this gamer no longer exist and Yunfei “conveniently” has magical powers. He hardly uses the cheats and hardly uses his knowledge! Why introduce the Gamer when hes going to die anyways? Might as well reincarnate him into another world where soul cultivation exist! At least that would make more sense. But no he died and instead a easy pushover... more>> guy gets it. Hes to plain! Even the villain more character! Soul powers/cultivation and Gaming shouldn’t mix! There’s hardly any gaming terms. If You’ve read some Wuxias then you’d find this very predictable. Its nothing new and nothing fresh. The Romance was good at first but it was by far to easy. Ill ask once again. Do we even see things like soul cultivation in Rpg games? Really such a headache..
- Initial fight scenes are the most detailed of any Xianxia story I've read so far. It actually feels like a story about martial arts instead of quasi-spell casters or a video game. Every punch and kick is described and there's no... more>> garbage like rubberneckers constantly showing up and making half-assed rank vs. Rank fight commentary, higher-levelled people insta-gibbing lower-level opponents with a glance, or just straight up skipping fights/events completely by summing them up in a single sentence. - MC's power isn't OP as soon as he gets it, allowing room for growth throughout the story. Unfortunately (IMO) for a game-related power it doesn't have much depth. Upgrade power/stone origin isn't fully unveiled by the end (other than the vague "Great Dao" or "from space" explanations). - Power system doesn't extend into Dragonball Z level territory (blowing up mountains at most by the end), so power inflation issues aren't too glaring. Initial fights have a lot of CQC nuance, but later on the MC relies more heavily on rotating item effects (read using a questionable MTL so I may be mistaken on this). - Upgrading/crafting (the main hook) isn't as fulfilling as it ought to be. Demon's Diary did a better job of this IMO. The MC doesn't really go hunting for treasures, scouring dungeons and crafting epic items. Most of the story is just PVP; long stretches of fighting arrogant/schemy douches above his current power level and getting their items, separated by scarce short bouts of item upgrading. - MC's personality is rather vanilla. Template good-natured MC; doesn't turn into a murderous psychopath. Romance is also rather forgettable. Not a lot of depth here. Simple and bland story. It is as average and uninteresting as it gets. I like the concept of giving the MC a upgrade ability like in RPGs but author just can't pull it off. Not much foreshadowing to keep readers in suspense nor plot reversals to keep things interesting. As mentioned before, the story is pretty much straightforward. It does get too repetitive quite often, author just can't come up with interesting ideas. MC is "meh". Personally I don't really like his character. He is naive, careless, not very intelligent and has a strong sense of justice. He gets OP with all the upgrade gear he equips and pretty much wins fights though a few were close calls. The battles themselves aren't very creative. Its your typically shounen styled battle (i.e One Piece, Bleach). Exchange a few moves, MC on the losing side, then final 1 hit K.O. Showdown and win. Romance wise, its pretty flat, don't expect too much from it. MC is monogamy guy though. What annoys me the most is how an entire 2 volumes are spent on MC trying to save his kidnapped girlfriend. Extremely boring and excruciating to read. Its like the villains are too stupid and can only think of 1 way to attack the MC and that's by kidnapping his girl, using the same strategy repeatedly. Add to the fact the the MC's companions are incompetent and can't protect a single girl. Novel has 8 volumes so literally 1/4 of the novel is about saving the princess cinderella. On the flip side, the only reason this novel is worth reading is because its quite short around 1300 chapters. honestly one of the few stories where I want to punch the MC in the face for his retardness. Basically hope for more TLed chapters soon so we can get the awesome side characters, till then I would honestly wait a bit. I'm 20 something chapters into the book, and if I were to describe it with tags, it would be: shounen, plot armor, retarded protagonist, plot armor, naive protagonist, plot armor. Yes, mentioning plot armor just once wouldn't do it justice. So far, this novel is nothing what I expected it to be, having no redeeming qualities. I truly wonder why haven't I dropped it yet. This story is bad. It's not terrible or awful or anything like that. I just find the way the authour writes to be so incredibly boring. The flow of the sentences is very dry, and any action sequence just becomes boring as hell. World building is boring. Character development is boring. It's all described in such a boring way that I dropped what was otherwise a decent story. the reason the elder helped him was because his fate had a lot of dividing fate meaning he can change the future in most cases because of his skill that is not of this world. The elder just hoped that he can help with the prophecy that state his 'school' will be annihilated in the future so he is trying his best to veer away from the future. 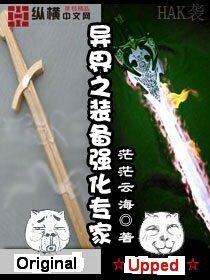 Besides who doesn't want to enter a school where u can learn to make your own soul class weapon for free? to the people who said its retarded to combine game element and a real-world cultivation novel then I beg to differ as the abilities of his upgrades are relatively fleshed out. His chance to proc the skills are mostly base on luck as seen later in the series where the MC struggle to have his weapon proc the effect to turn the tide, and later abilities even drain him of his soul power like crazy like his brick that can enlarge to the size of a mountain. You would even see him bleeding all over the cause of the effects from effects of a demonic type weapon. As others have written, what ruined this novel for me was mainly the MC. The character is bland and "naive". I use quotation marks as I feel the author uses awful decision making of MC's part as a way to move plot points forward. He kills a young master of powerful family for revenge early on while he still is weak. Kills him and his guards but for some reason leaves some underling eyewitnesses alive knowing they will be able to identify him. These underlings were in charge of kidnapping girls to be raped by the young master, but he just left them there. By this point he'd already killed 100+ bandits, so killing people shouldn't be an issue by this point for him. This turn in to a long winded hunt of him which gave author 50+ chapters to write about. If those underlings died he could just have walked away, and gone to the sect he was heading for scot-free. He knows he has a super OP cheat, and knows others can't learn about it. But then he shows it to a girl he suspects is working for his enemies with some lame motivation like "i didn't wish to believe you lied to me". Now the bad guys know about his powers and want it for themselves. 30 free chapters for author to write about ensuing manhunt. This goes on. I dropped at 131 cause I couldn't stand MC anymore. At other points he is a mastermind and tactician, but when author needs something to happen, he just turns the MC into a retard to get it done. Sloppy writing. MC sometimes is a ruthless killer, sometimes just beats the enemies up, in order for them to be able to create new trouble and push story forward. It's a shame, otherwise the core idea of the story is pretty interesting making the MC cheat RPG-based in what's essentially a xianxia story. This is probably my favorite Xianxia novel, it is horribly underrated sadly, but it has a lot more to offer than it is given credit for, the one thing that this novel does that sooooo many others don't, is have a positive outlook on humanity. The people in the world of upgrade specialist are real, they aren't the contrived assholes of most Xianxia, their are an equal or greater number of good people as compared to the number of self absorbed assholes, not everyone in this world is out for number one, and ordinary people aren't just ants underfoot. The writing style of this novel is a tad different to most Xianxia, it reads more like a Japanese fantasy webnovel at times with its heavy references to online gaming and general gaming culture, the unique situation that the protagonist is in lends to the comedy as sometimes he makes references to things he doesn't understand out of reflex due to the memories he has gained from the failed world hopper. The characters of this novel are many and interesting, they do fill tropes at times but never in an obnoxiously horrible way. The fact that a character that is introduced in the first 10 chapters doesn't come into the limelight until volume 5 shows the forethought and story boarding this series' author went to. The combat in this series is leaps and bounds better than I have seen in basically any other novel, western or eastern, the fights are well thought out letting our MC use all of his varied abilities and peculiar upgrade affects to their best potential. The fights are described below by blow right down to the emotional reactions of the characters, and there is very little of the peanut gallery mouthing off on the side as is common in Xianxia. The upgrade technique itself is worth mentioning, the way it creatively blends game like affects into weapons and items being used by real people makes you really think about some of the uses for the items, one example being a dapper that does double damage if attract the same place twice, and double again for a third attack etc. This isn't something that would work in a video game as you don't have that kind of fine control in games, but in real life that kind of cheat like affects would be insane, especially considering poepl don't have health bars and damage basically directly correlated to the amount of pain the enemy feels. This is a great novel and I can't explain how awesome it is here, go read it! The MC is stupid. Like someone else said in their review, the MC has a Japanese child like personality. 1) Some 'fate' schools elder gets some hints about the MC power, You would expect that this being Xianxia, the elder will try to probe in more about the power, but he doesn't do s*** and even helps out the MC. 2) The MC takes in a subordinate from a village attacked by bandits and seems to trust his a lot for no good reason. 3) There are tons more things that I find wrong with this. The MC is hot headed and push over. He doesn't appreciate the help of that elder who gave him cultivation sizz and plans to join some other sect. So ungrateful. the very first chapter. Drop any reason out, accept whathappen-is-whathappen, and enjoy the rest. Translation is pretty slow. However, author used easy wording, stressed on story telling instead of idiom. Thus, the mtl version by google sensei is highly readable. The story is somewhat simple. The MC got a cheat ability which can upgrade items then the enemies wanted to make him spit out the technique for upgrading. The novel is full of running/chasing then upgrading items then fighting. Nothing special. No plot just upgrade, flirt, run and fight. Good at first and becomes cliched later. PS: Read the first 50 chaps then stop. A friendly reminder so that you'll see this novel slightly interesting in the future. #1: MC bumps into a girl liked by this spoiled rich kid and the rich kid tries to kill him for that, the girl is displeased and stops the rich kid and MC is saved. Rich kid then sends people later on in the night after him, kidnaps then throws him into this 'last man standing' underground arena. In there MC meets this old man with a typical sad story and he gets emotionally attached in that short instant. Then when they get in the arena and start running from their opponent at the last moment when the opponent wants to kill the MC the old man jumps and sacrifices his life to save with his last cliche words were like "keep a good conscience"
MC takes it to heart then wailed aloud with blood tears and after that kills the guy, who trained martial arts and has been in many life and death situations in his life, with a brick and no skill (i don't care how powerful that brick is, but couldn't the opponent dodge at all even after him also getting a power up?)... yh that spells a lot for me. Fairly fun story where the main character grows at godlike speed compared to others (just like any wuxia novels really), but has this misconception that he is somehow not gifted enough and very slow. The inclusion of a game-like skill in a "standard" wuxia world, without it being a reincarnation (the skill "falls" into a fairly normal commoner boy that had nothing to do with cultivation at all) makes it an interesting concept compared to the usual "here is a godly artifact for no reason, as well as an all knowing... more>> master and skills in everything". Sadly, Heman, the translator that also started the translation for "stellar transformation" and nearly single handedly started the trend of translating wuxia novels to a wider public once again went missing after getting a few arcs completed, and rwx already has his hands full with Desolate Era and maintaining the website, so it started to really slow down early june before stopping entirely mid june. I like the story and the character being, I feel the 1 star reviews are totally unjustified. To people who write the MC is retarded... -_- It is given he will be like that since he was the lowest class of person in the book world at the start. What can you expect of an orphan living with his grandfather and yes you would have figured out how to exploit the game cheat like skill at once especially if you lived in a world with no computers and no understanding of... more>> games. I've finished the book (read the raws) and can only conclude that it's a rare gem. The MC gets strong fast, but that's because his enemies are always on his tails. He never really gets out of danger. Friends and enemies has a decent intro and ending too. Even his earliest friends will play an important role in the endgame after neglecting their story for hundreds of chapters. The author will give you a reminder one who a person was though, unlike other authors, who reintroduce a character after 1000 chapters and just expect the reader to remember who that dude was. The MC's ability plays a very important part and is never neglected. It's power evolves painfully too, making the MC more balanced. Most review in here only for early chapters I believe, but the things started to get interesting after book 2, MC power development is fast but not too fast like other xianxia. I agree the MC similar to JP novels but he’s not too stupid and actually used his brain. MC’s friends also not useless and characters from early chapter will play important role later on.